Eureka’s name is synonymous with the Gold Rush, timber barons, the fishing industry and a historical port town. We almost blew past this little gem of a town. Driving through the back streets close to sunset, I was struck by the plethora of charming Victorian houses. Many in pristine condition. 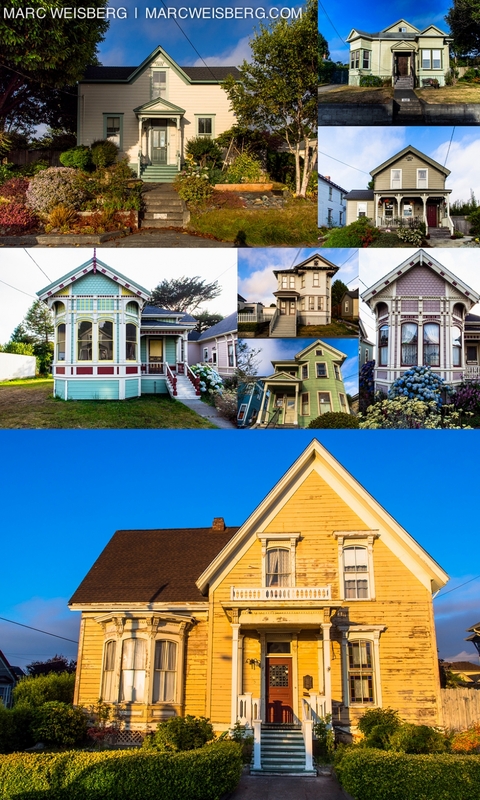 The California Victorian architecture era started in San Francisco and migrated north to this area in the late 1800’s. The image below was a lucky stumble upon. Period autos, Victorian homes and a blue sky as the back drop. The photograph could have been created 20-30 years ago. I enjoy finding just the right angles to make these historic gems stand. 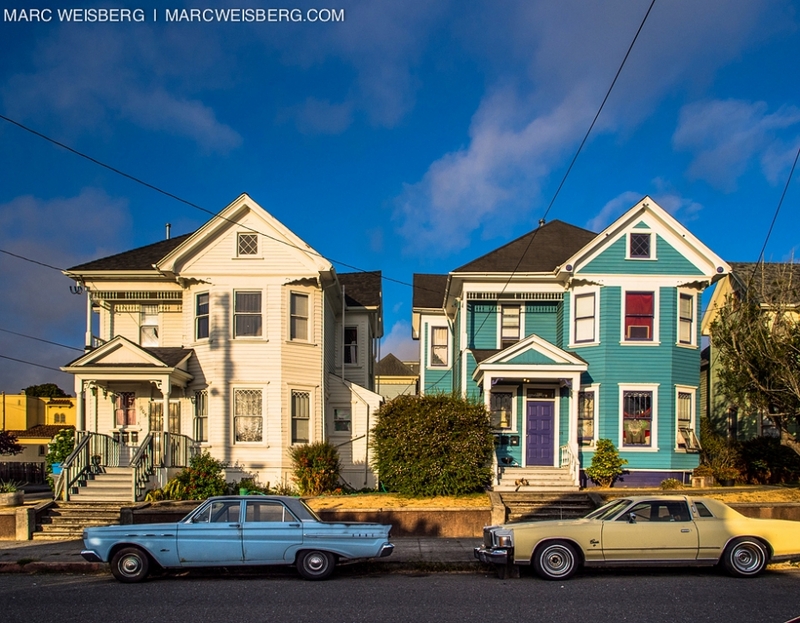 It was fun being a Victorian architecture photographer while in Eureka. 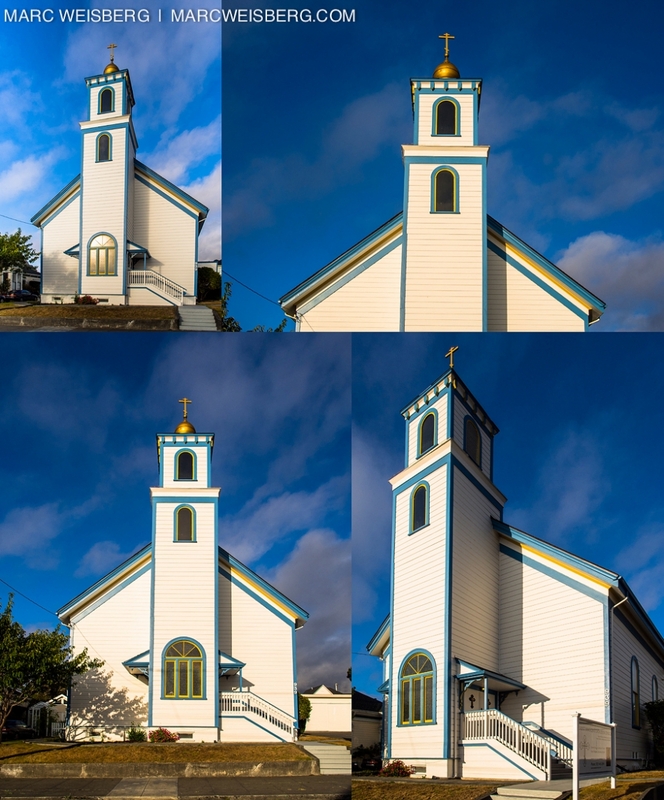 Below: A Greek Orthodox church with blue and yellow trim detail. Below: All hand done Ginger bread and lattice work and lovely wood detailing on the windows. Below: The Carson Mansion. Now a private club the Carson Mansion is the belle of the ball. Old man Carson was a timber baron in the late 1800’s. It is said that when financial times were soft he kept his workers busy building this over the top Victorian mansion.